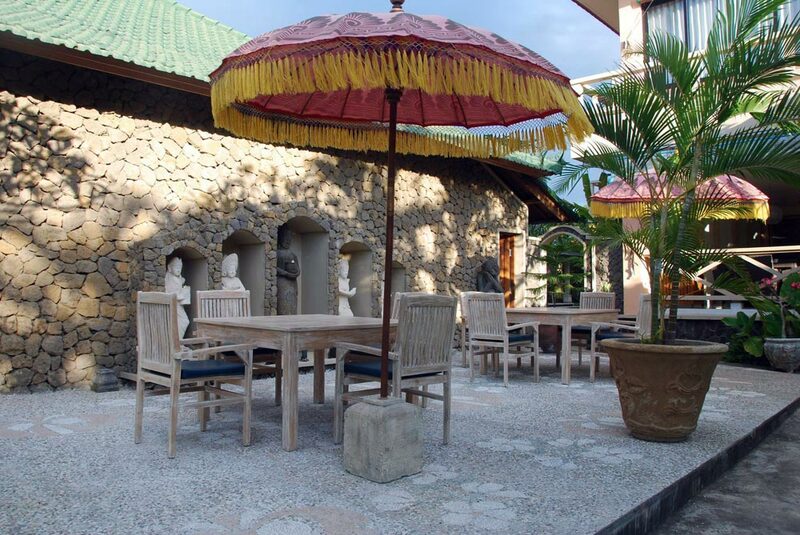 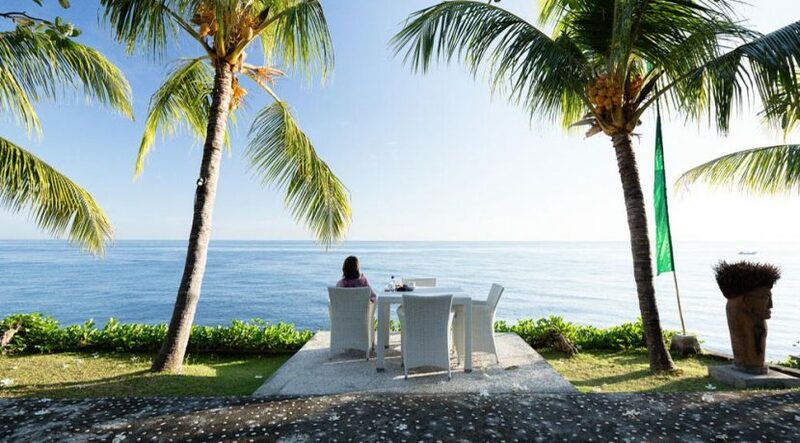 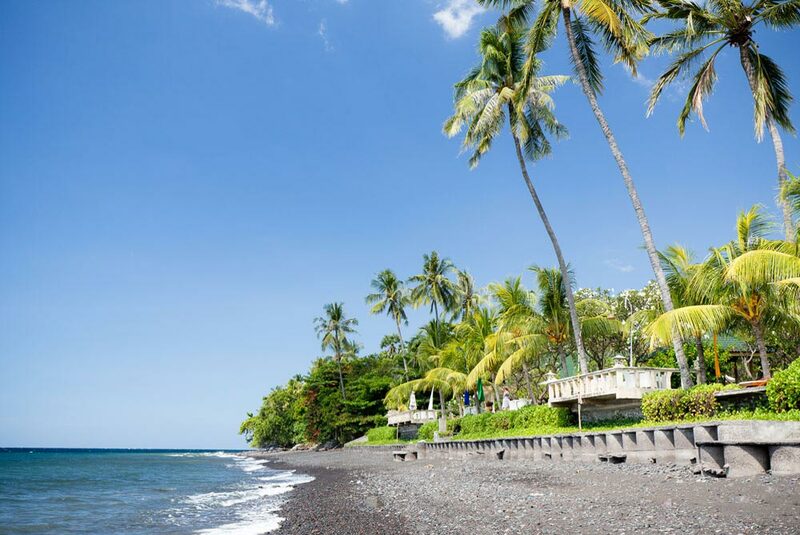 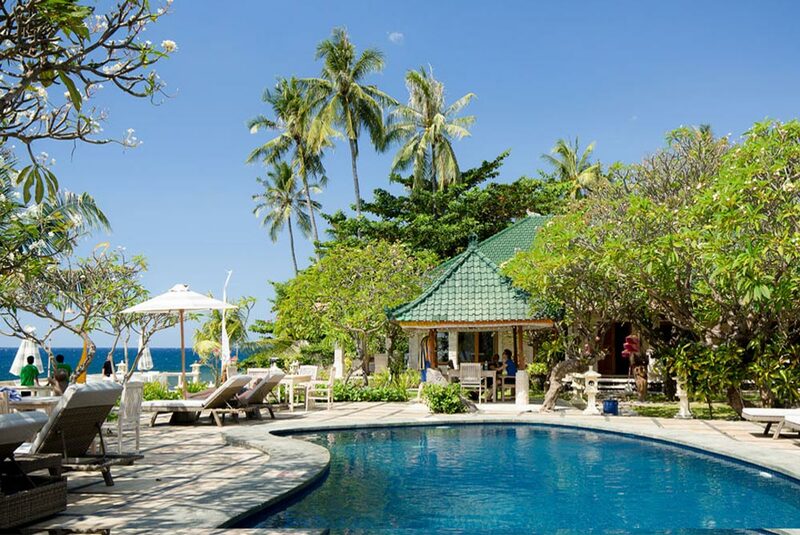 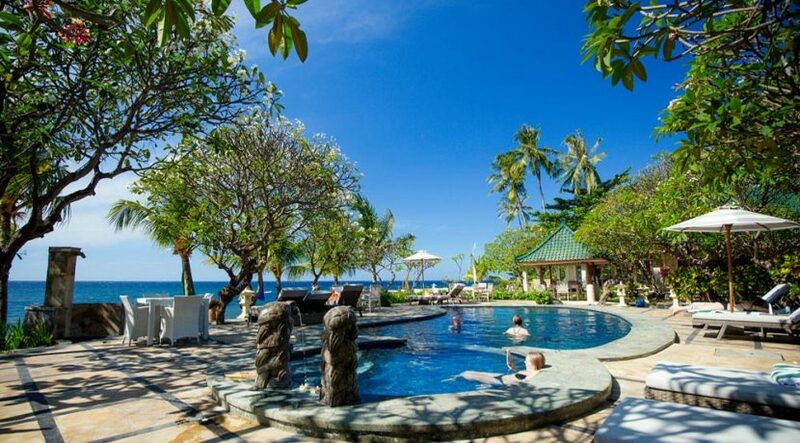 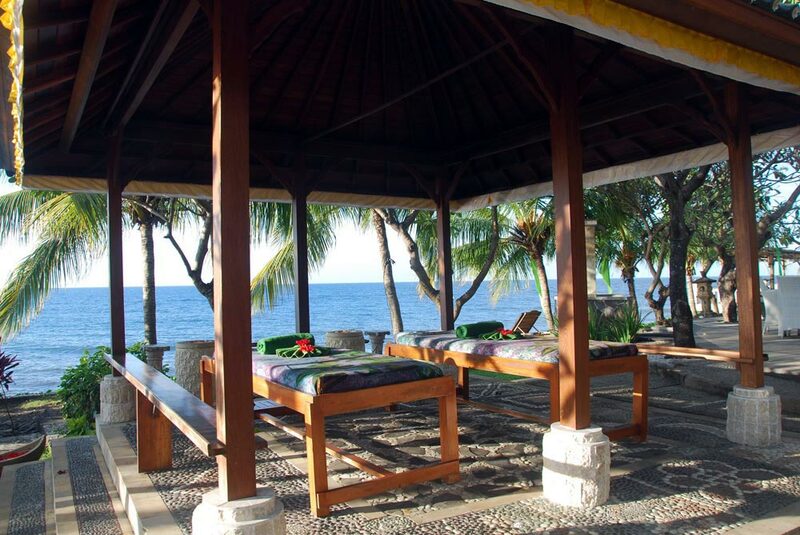 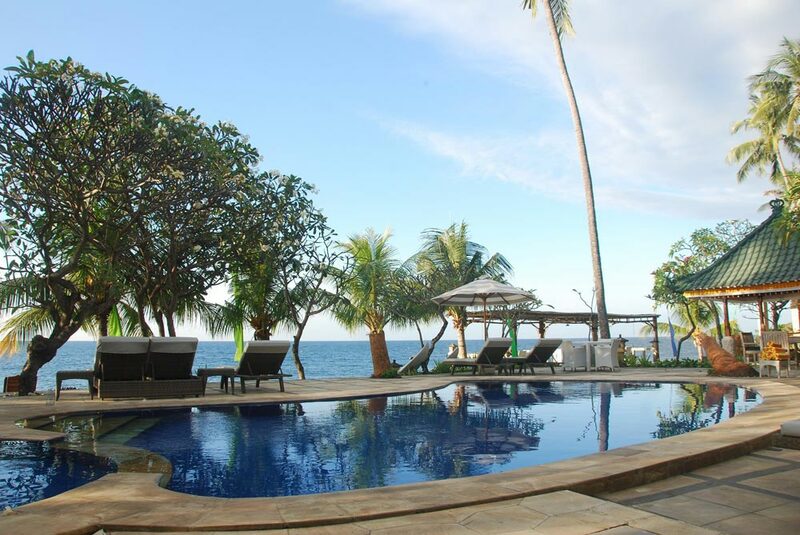 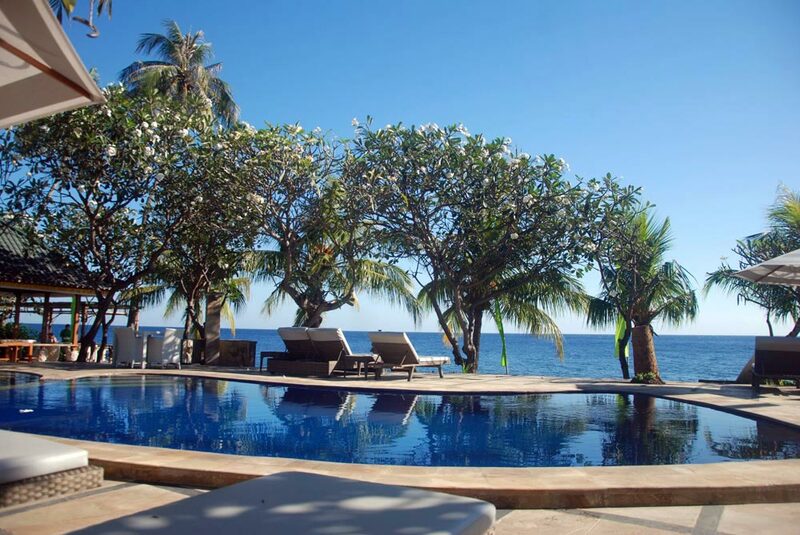 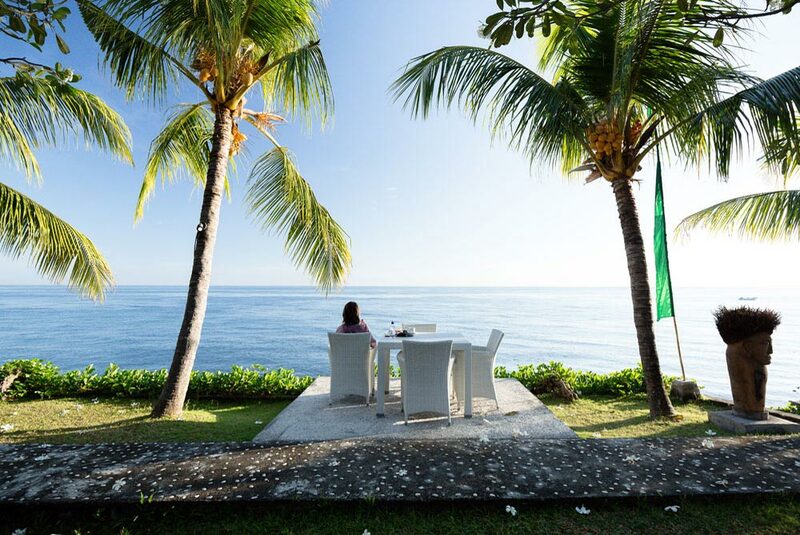 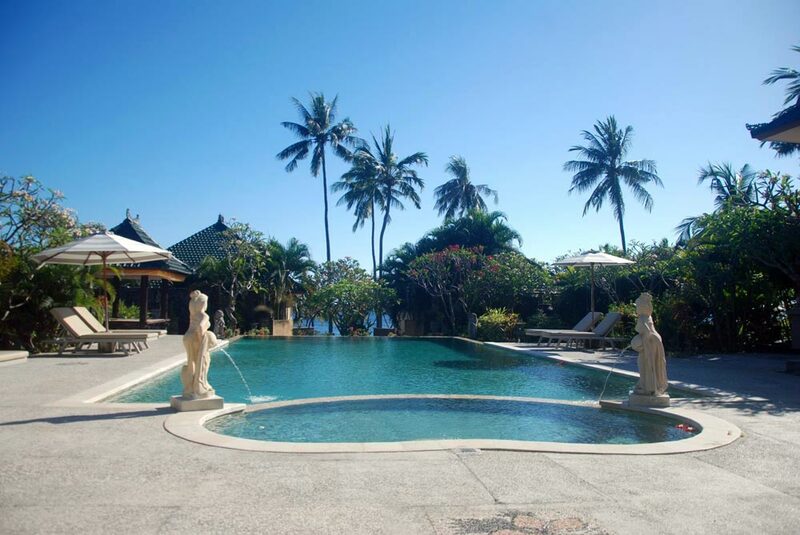 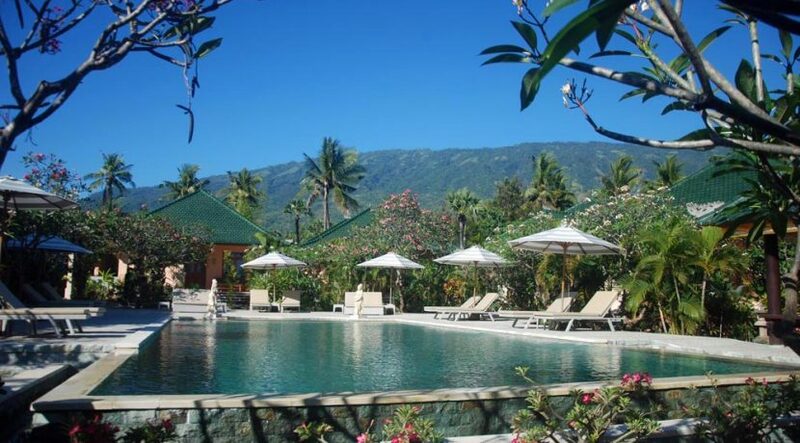 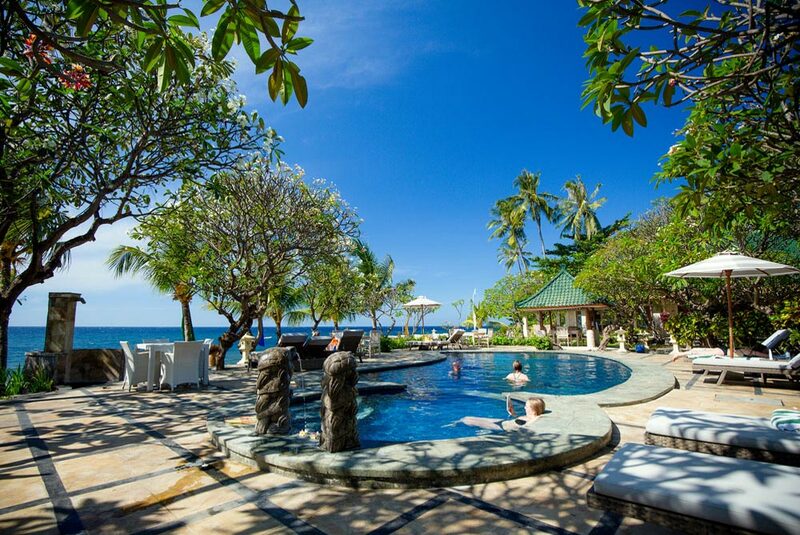 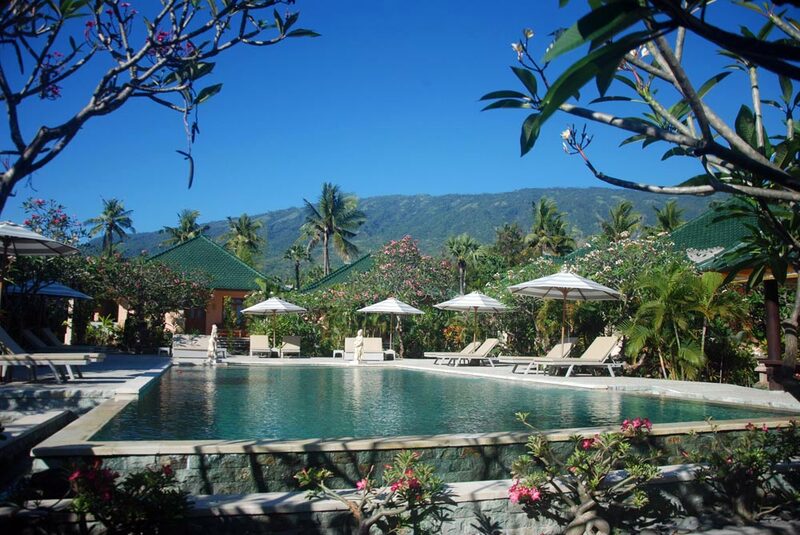 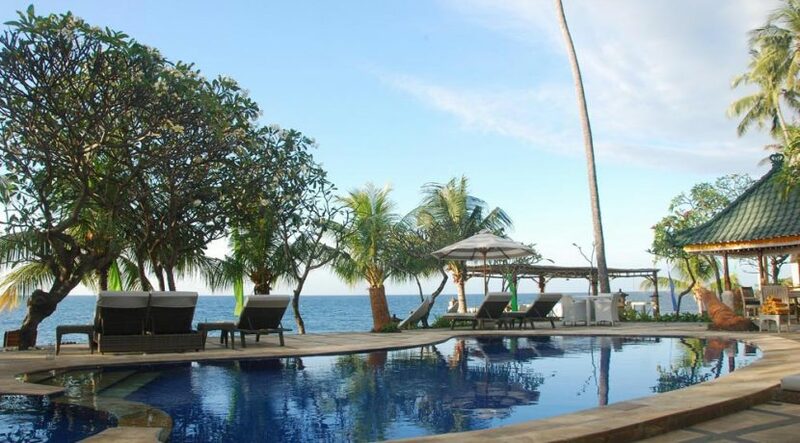 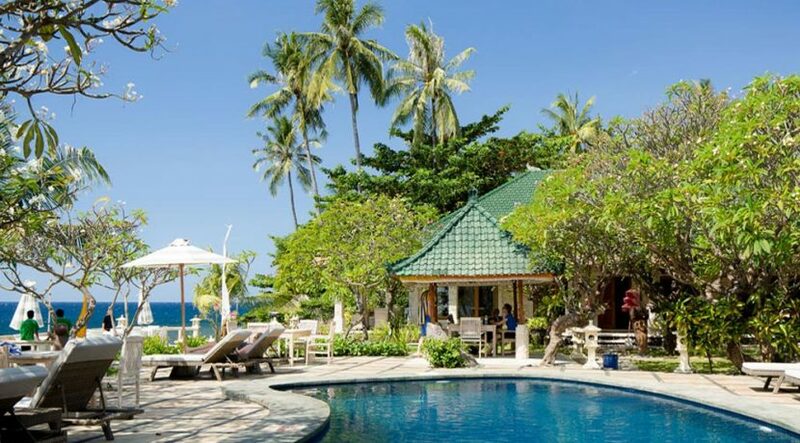 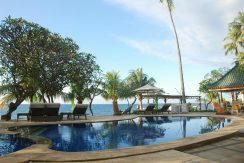 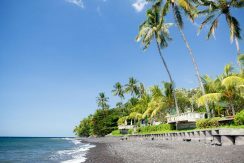 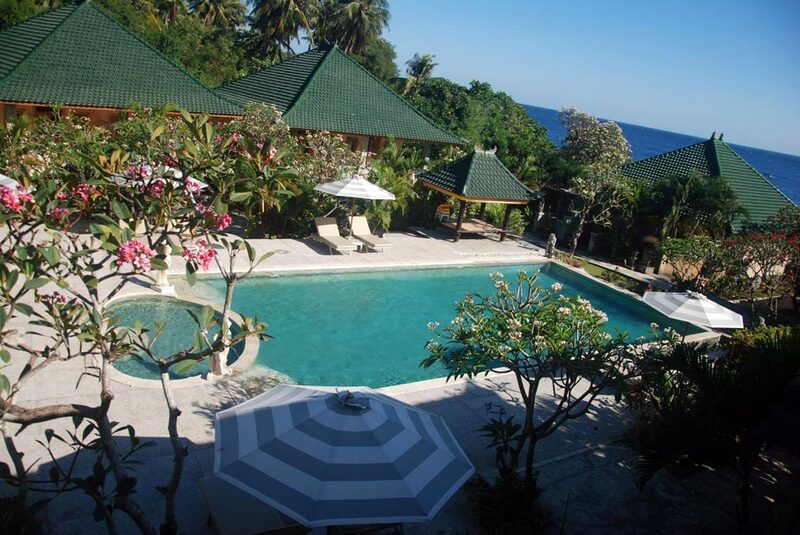 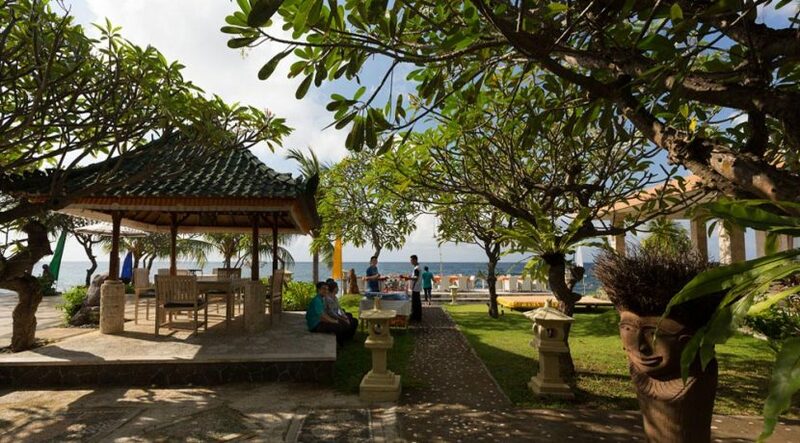 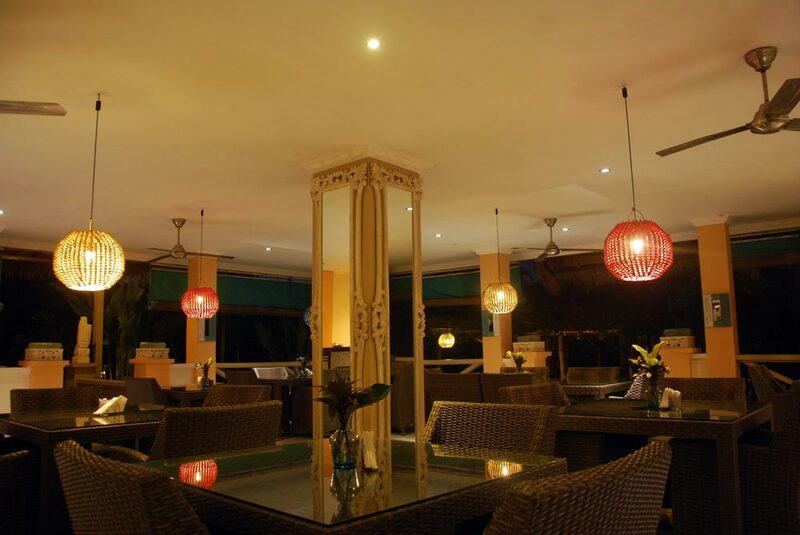 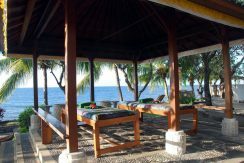 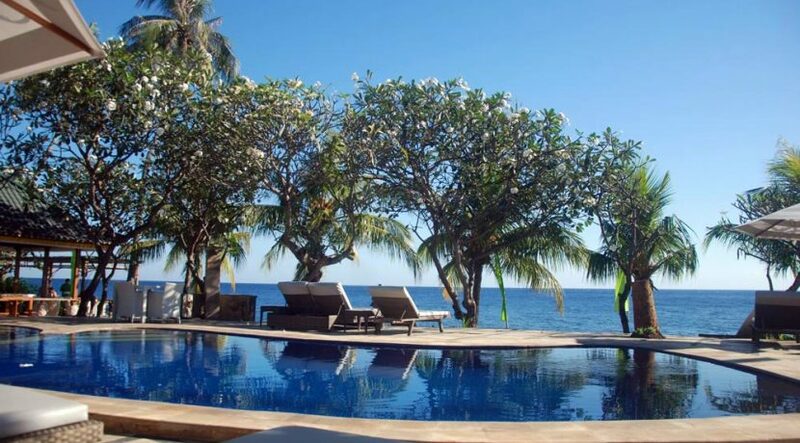 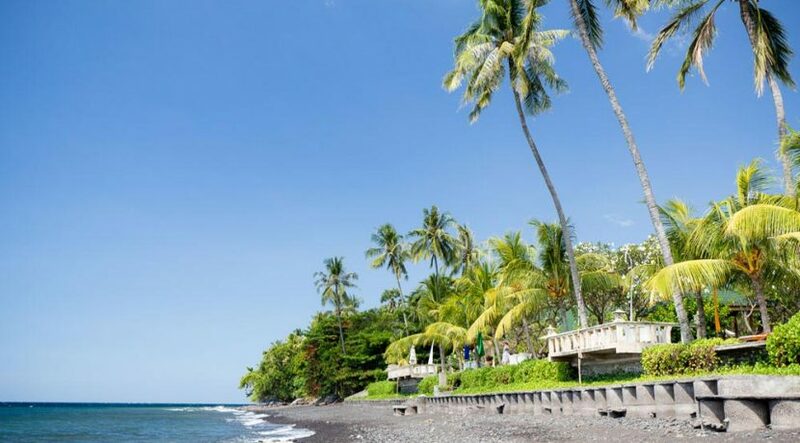 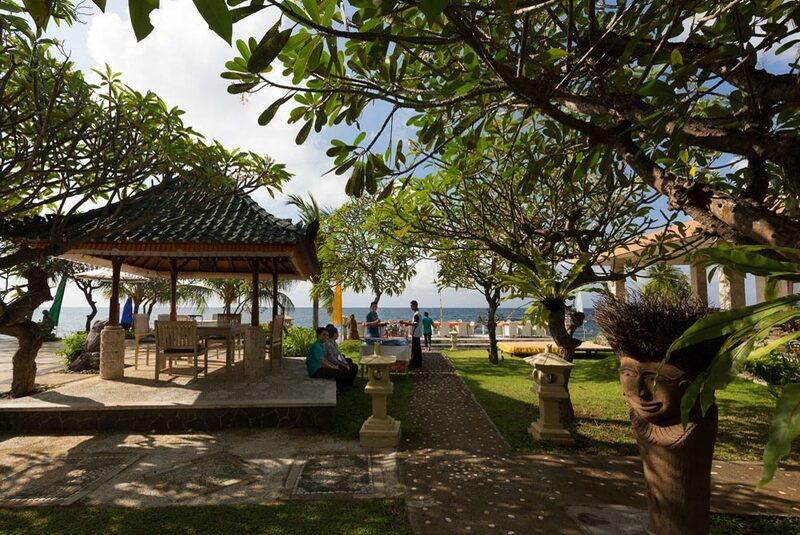 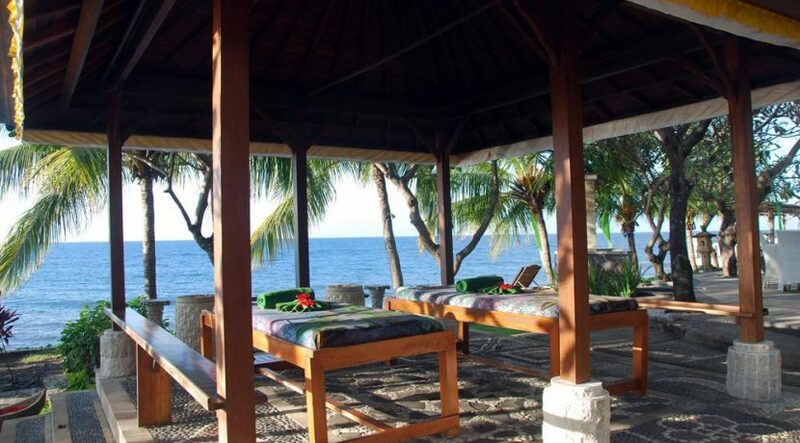 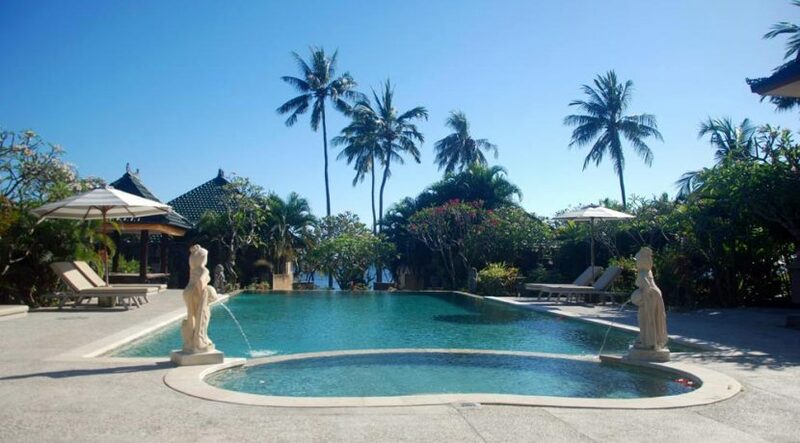 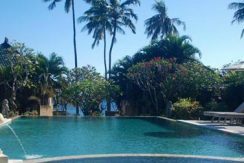 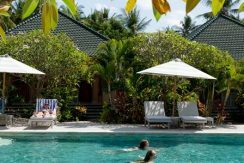 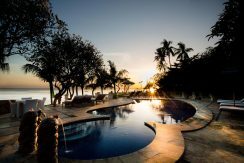 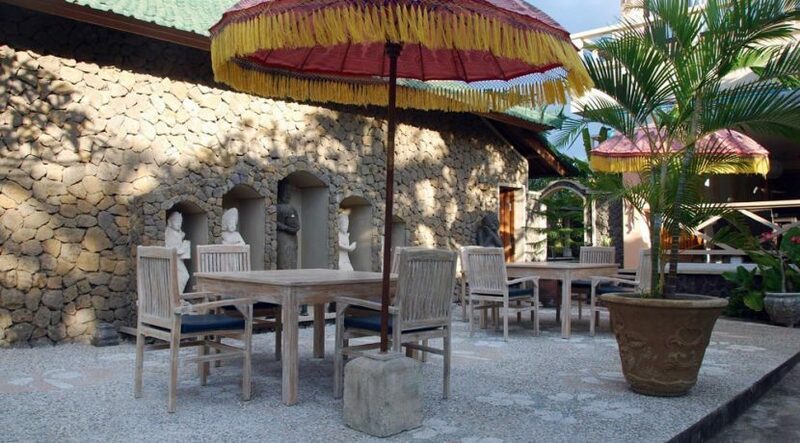 This outstanding beautiful beach- and ocean front resort is located close to Sambirenteng / North East Bali, directly aside the north-east main coast road. 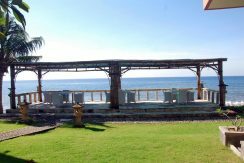 The resort has a beach frontage of 90 meters and consists of 11 luxury 1, 2, & 3 bedroom villas all with A/C built on 80 are (8000 m²) land size. 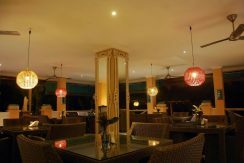 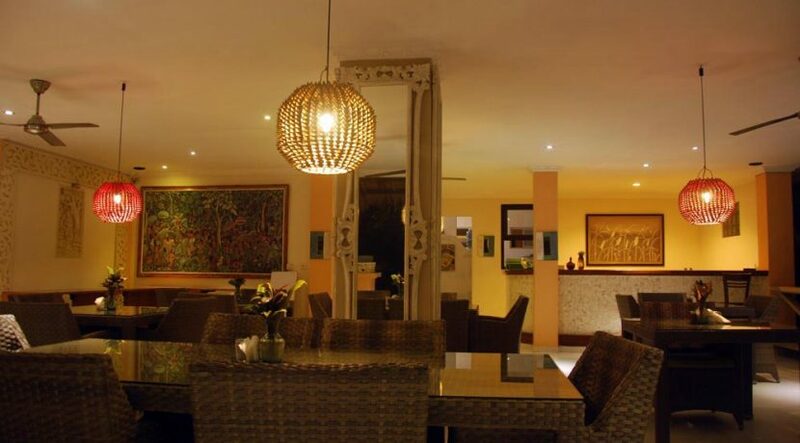 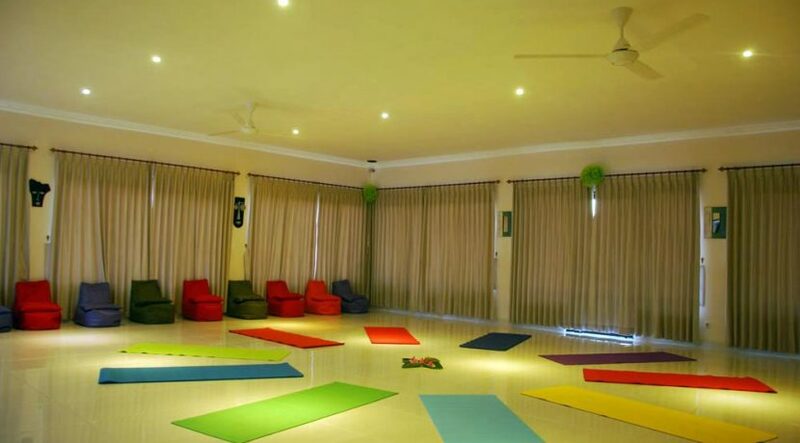 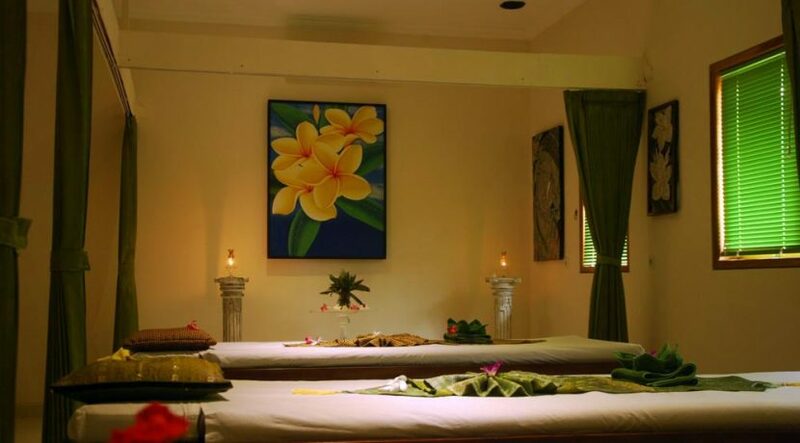 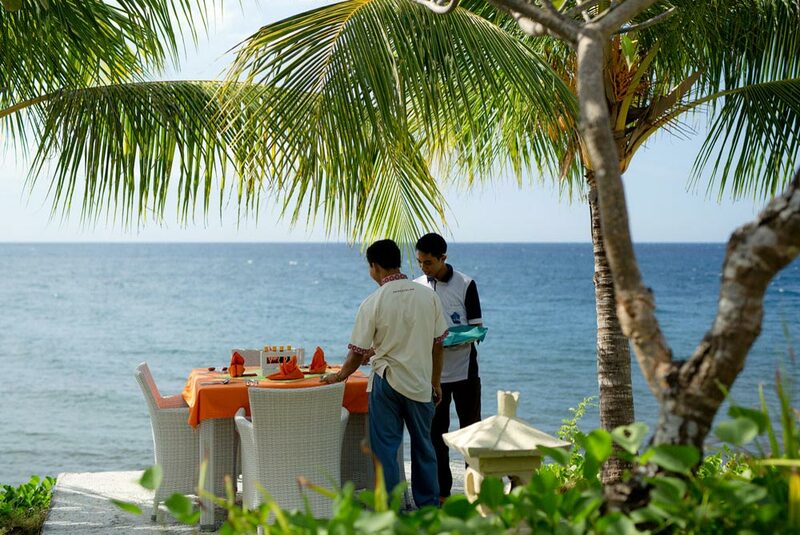 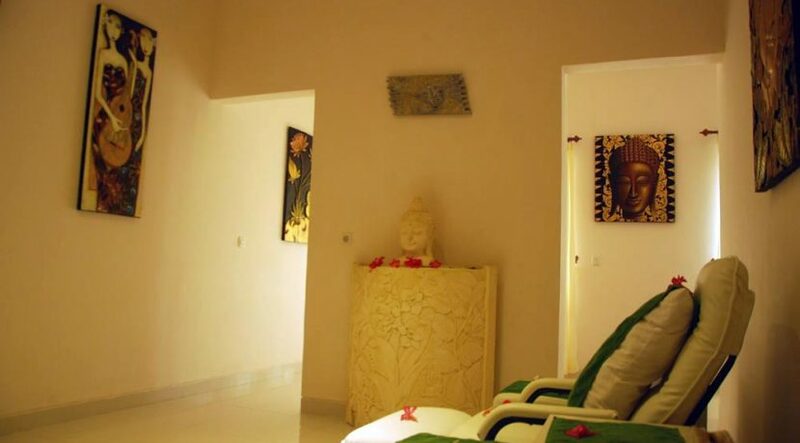 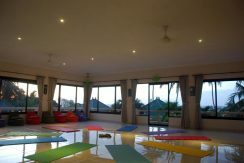 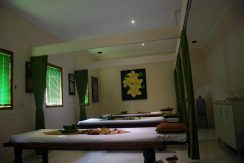 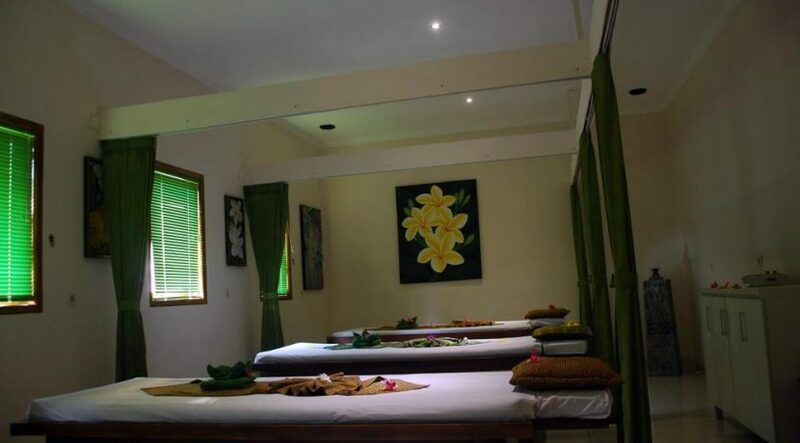 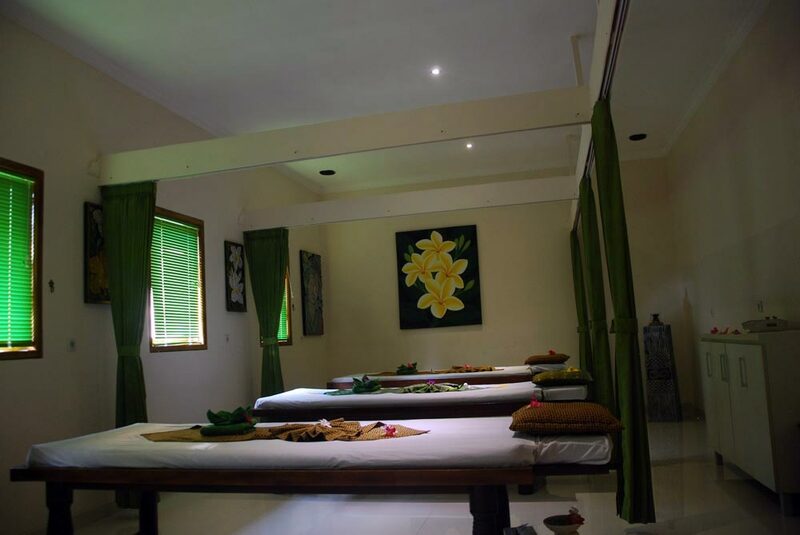 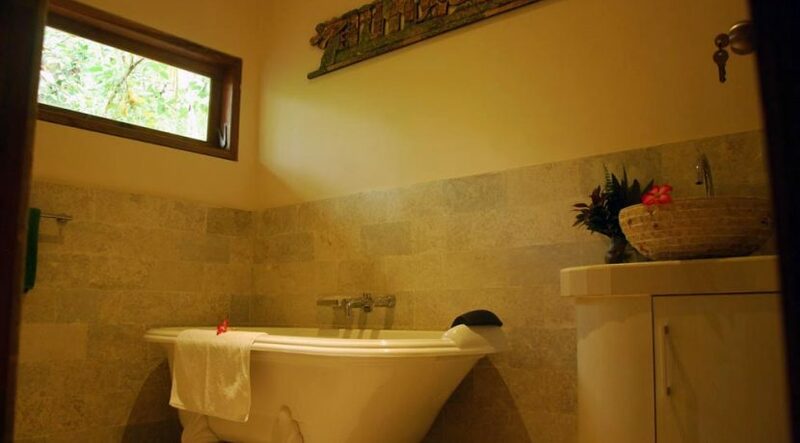 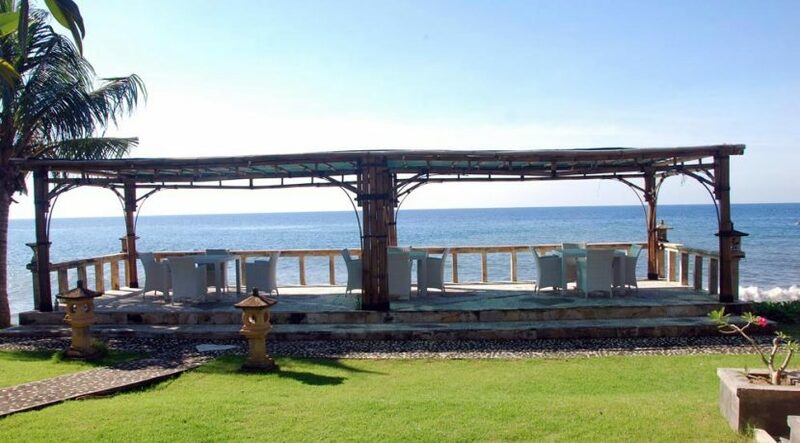 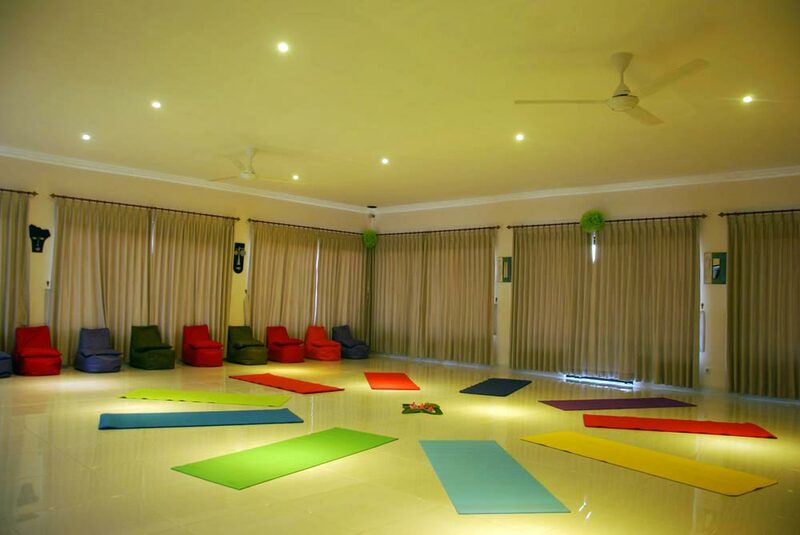 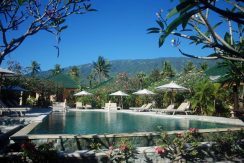 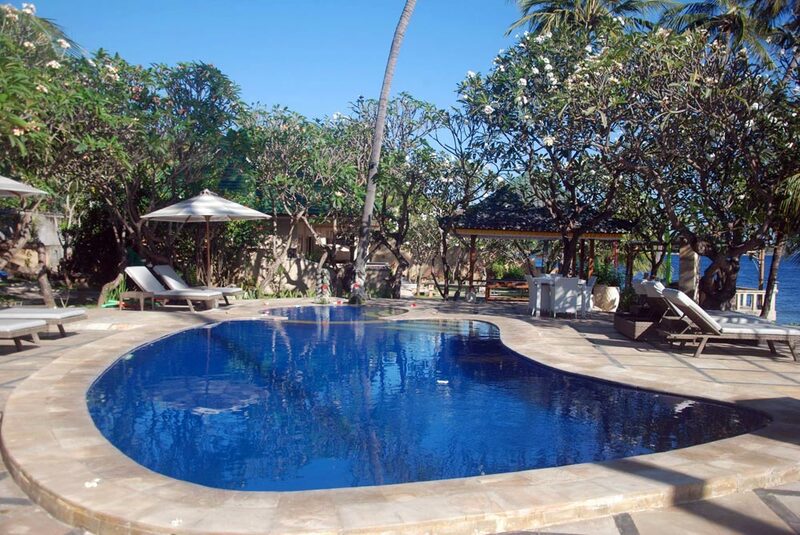 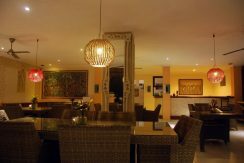 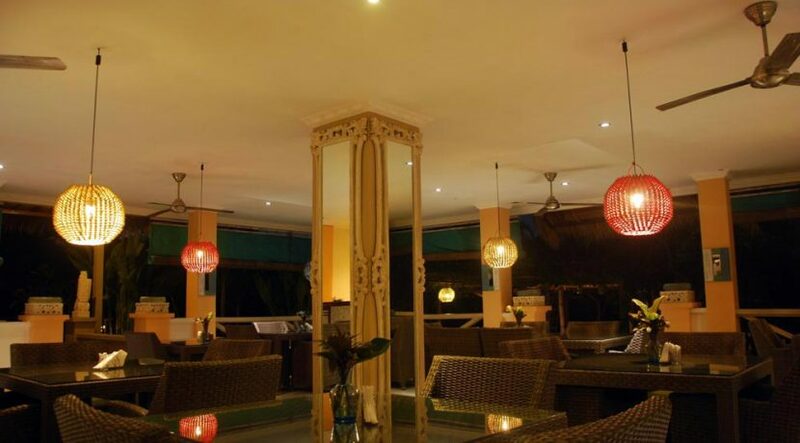 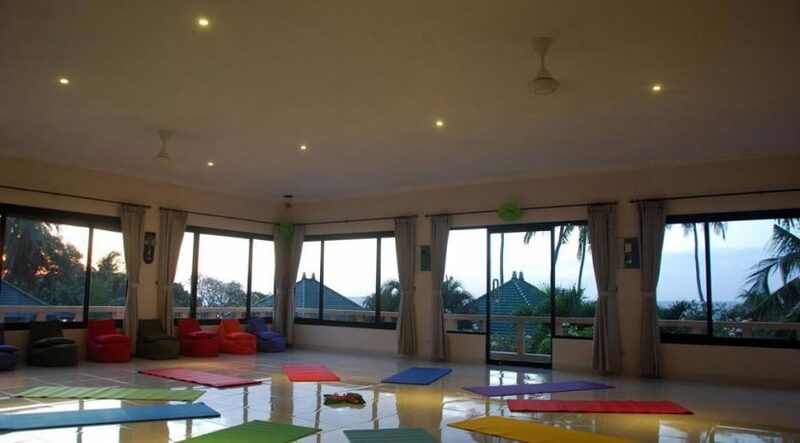 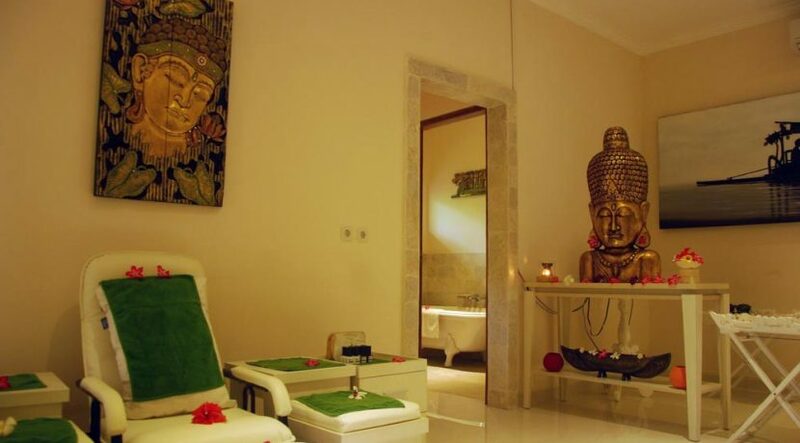 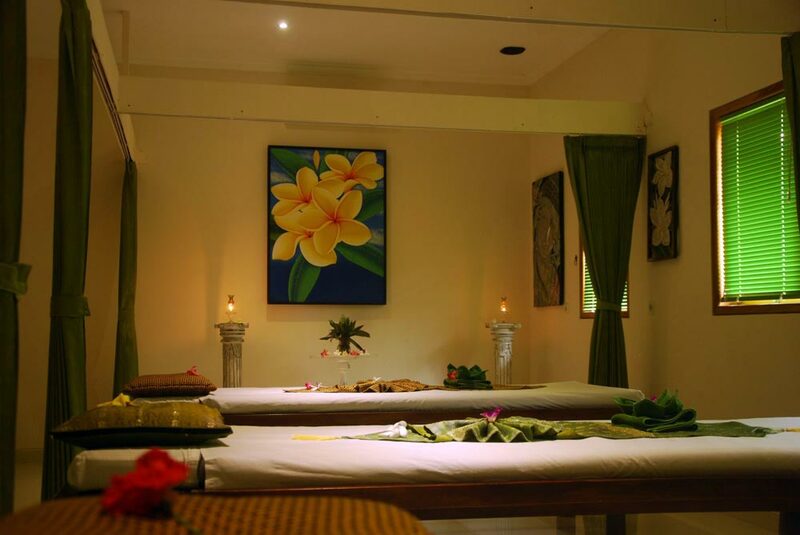 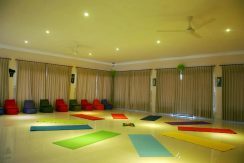 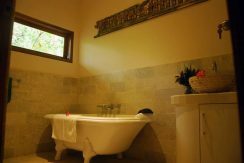 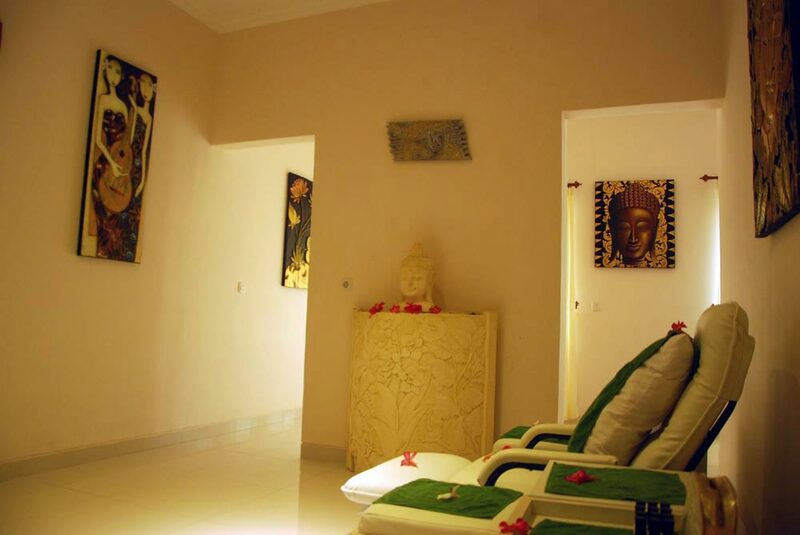 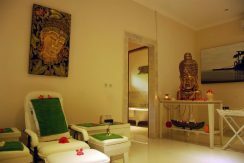 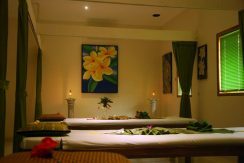 This luxury seaside retreat center has 2 swimming pools, a spa treatment center, ocean front massage tables, 2 seaside dining terraces seating for 8 and 12 to 25, a fully equipped workshop/yoga space with A/C, rooftop terrace, restaurant seating for 25 with professional kitchen, 4 bedroom private owner house, front office / reception area, retail shop, undeveloped areas for a dive shop or other, direct beach access and a tropical reef just off the beach. 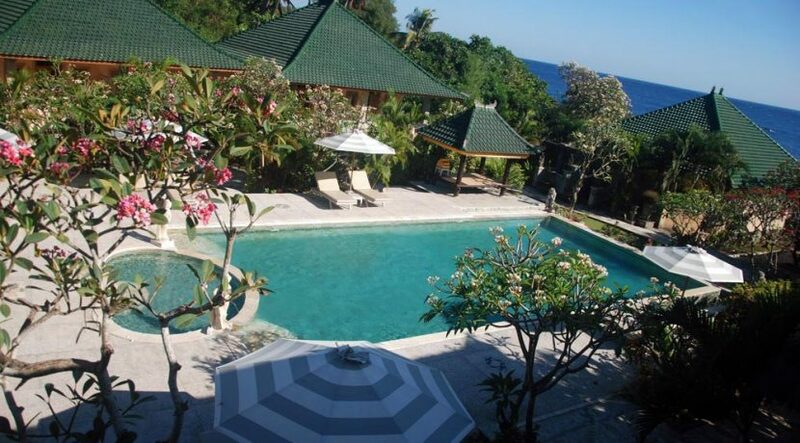 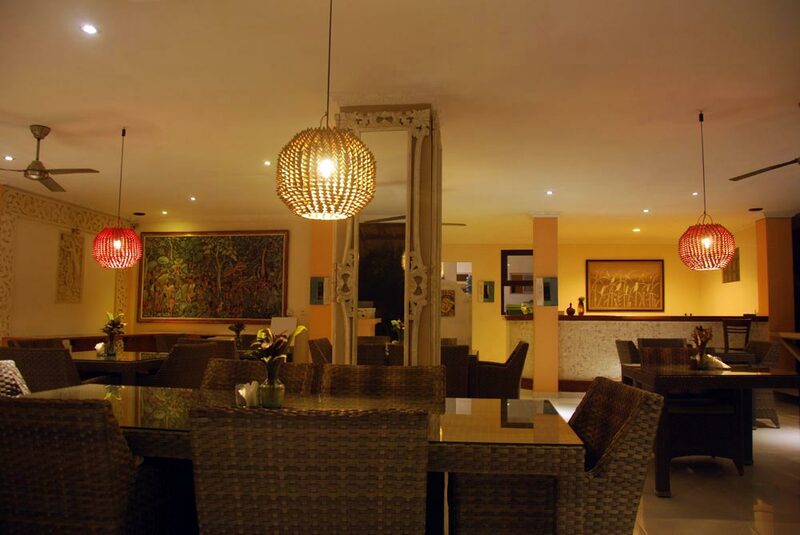 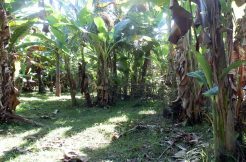 This property is for sale freehold and comes with all necessary legal permits incl. 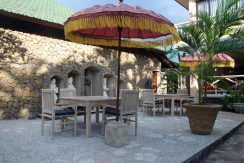 PMA company license. 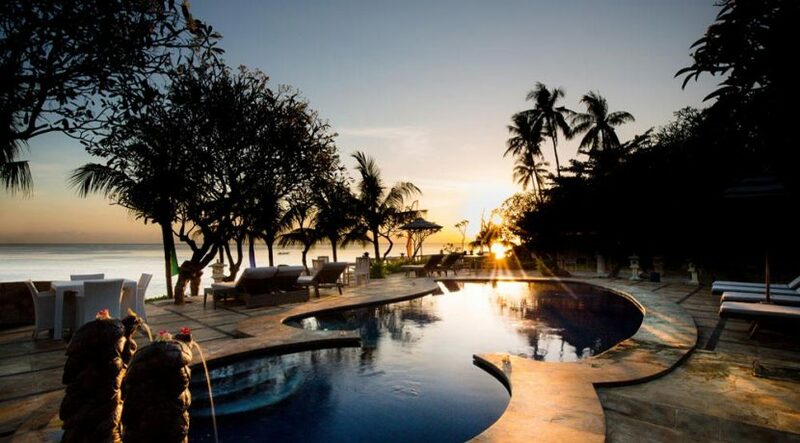 Sales Price US$ 4,5 Mio. 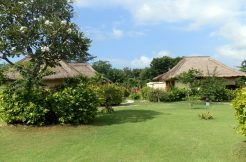 – negotiable! 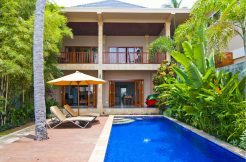 Please contact us for more details on this property! 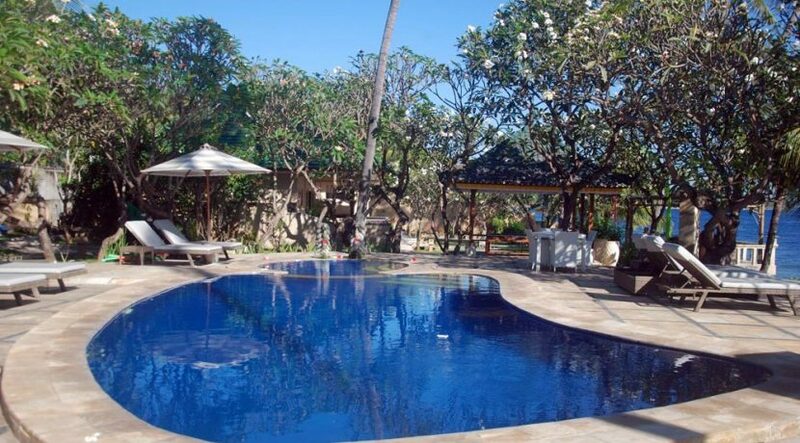 Please check here for full fact sheet & features of this property!